I watch the Fauxcohantas campaign with anticipation. I hope it is a prelude to the AOC campaign when she is of legal age. I am looking forward to the entertainment that is always generated by the debates in the lead up to US presidential elections. Are ya trying to give me nightmares? "Beto O’Rourke is believed to be planning to run, and Stacey Abrams has heard calls for her to join the race. Let me just stop them there. Both showed considerable promise in their losing races for statewide office. But here’s a simple rule: You have to win to get a shot at the presidency. If you lose, you don’t ask for a promotion." Still--superior to a Clinton senate seat. 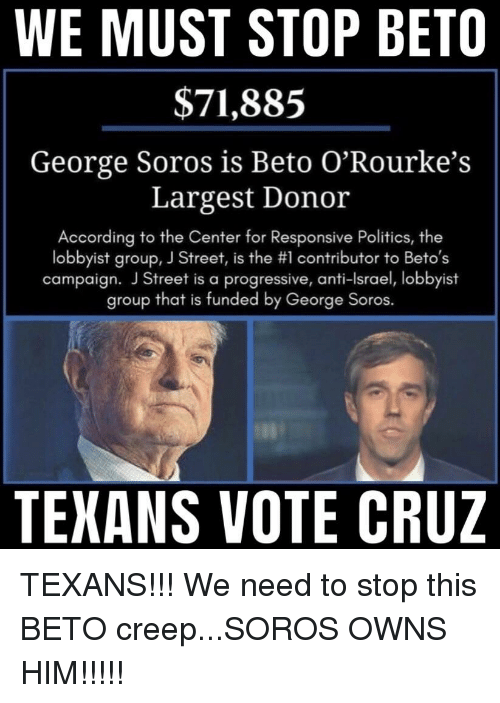 Given they're both bought and paid for by Soros - how so? You forgot also that he is not Mexican or Mexican-American and comes from a very wealthy family connected to judgeship and politics in the region as well as owning business and big into land development (how is that "green?) He was far richer than his opponent Cruz, to whom he lost to in the last Senatorial election. Besides his arrests etc he also used to prance around in a one-piece jump suit with some kind of animal mask his band. Bernie announces officially. So another millionaire socialist/communist who never has held a job except political ones is officially in! I can't wait to see the infighting, the debates, and ads between all of these oddball candidates. Though DO NOT watch Bernie in HD on TV or computer: oddly colored lips (does eat purple popsicles prior to speeches,) a weird froth and spittle, and just ugh. For some reason they also always zoom in on him. Nasty stuff to look at as he promises open borders and free stuff for everyone, everywhere. 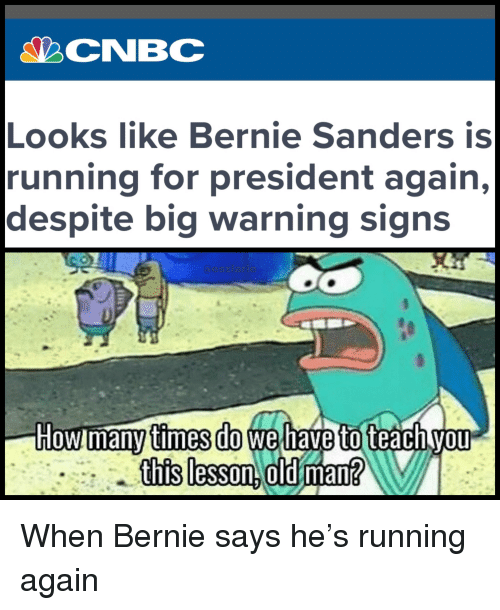 It's gonna be Sanders v. Trump in 2020. I am calling this now. Bernie will go down like Glass Joe. Unclear on the running mates--what am I, a remote viewer? ?--but I can tell you this: those debates are gonna be legendary. The non-AfricanAmerican, who faced some issues over her "blackness," due her being a daughter of an Indian and a Jamaican now has a problem with her own father! If you recall Kamala Harris last week tried to prove her "blackness" by making claims about liking marijuana during some interview on a radio show.